Morning Skate: Well, Saturday’s game against the Devils sure was fun to watch, no? Alex Ovechkin bowled a Magician, and the whole team clearly ate their morning Oates with breakfast. It was a real big-boy win against the defending Eastern Conference champions for this Caps team, and like a really nice yard with an unmarked septic field, hopefully something they can build on. Today, Southeast Division rival Carolina Hurricanes blow into town like a hot, smelly belch from the South. I hope they brought illegal fireworks. The Puck Drop: There are a couple big plot points to this match-up for the Caps. The first, of course, is the Return of Sasha. Yes, the man who once shared a banner with Voldemort is coming back to Verizon. If I had to guess how Semin feels about this, I would play the averages and assume he doesn’t care. But I predict the Verizon faithful are going to let him have it, with a few scattered apologists wailing, “Guys, but that wrister!” He’s been an alright pickup for the Hurricanes with three goals on the season. Or, differently, as many as Ovechkin had in his last game. And speaking of Ovechkin, my God, we might get to see Ovi absolutely train track Sasha in the open ice. Think about that, and salivate over it. I need to go change. The second big plot point is that the Caps have a chance to take two more points off of a division rival’s plate and put it onto theirs. 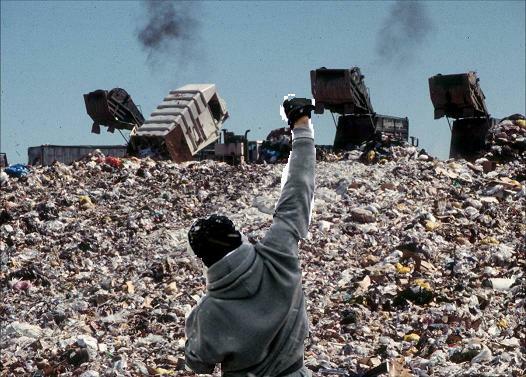 As Jeff Kleiman said on Twitter: “The Southeast Division has really ‘just become a dumpster fire’.” With no teams over .500 and the winner of the division likely to have fewer points than the eventual eighth seed, there’s not a reason in the world the Capitals shouldn’t rise from this trash pile like Rocky over the city of Philadelphia. If they keep playing like Saturday, we could well have a new banner to hang from the rafters at Verizon, even if we have to shake the coffee grounds and band-aid wrappers off it first. The Hurricanes have petitioned the NHL for permission to change their name twice: once to the Katrinas in 2005, and once to the Sandies in 2012. Let’s see what 2013 brings. Eric and Jordan Staal learned to possess the puck so well by being made to fight over scraps of meat tossed to them by their parents, unable to ween all 37 of their hockey-playing children. North Carolina ranks first in the US in occurrences of adorable children’s ice cream scoops falling off their cones and making them cry. Raleigh, North Carolina was originally called Staalopolis, named for the dinosaur of the same name. It’s true. If you rearrange the letters in Cam Ward’s name, it spells Raw Clams. Alex Semin is actually trying really, really hard, guys. Seriously, Alex Semin wants this more than anybody. When approached by the league about the possibility of Raleigh hosting an NHL franchise, Mayor Tom Fetzer reportedly began foaming at the mouth and firing a pistol wildly into the air like Yosemite Sam. The entire cast of Les Mis were all Staals and performed under pseudonyms. South Carolina is really grateful the team chose to call themselves “Carolina,” and is totally gonna make it up to North Carolina. Ain’t Eight Great? – Much like Hansel, Ovi is burning hot right now. And in DC we’re basking in this fairweather praise like cool whip from Katy Perry’s brassiere. In the home-and-still-home against the Devils, OBestkin played like a Russian with a fire lit under him, with a meteoric ‘See what I did there?’ rise that many would tell you was long in coming. In addition to finishing his checks with gusto and roaring into the zone on breakouts, finally – finally – his buckets and buckets of shots started to hit pay dirt. Whether playing the 1812 Overture from the top of the circle, or creating room for himself with a little dink-and-dunk puck play, the Russian Machine seems to be revving up. Woe unto the rest of the league if he is. “Now I ain’t sayin’ he a goaltender, but he ain’t messin’ with…” We’ve been a hot mess between the pipes, like the area rug of a crack house. We have a list of old boyfriends like an experimental trip through Europe: Cristobal, Jose, Semyon, Michal. 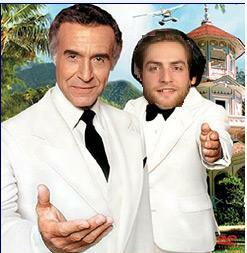 But Holtby could be our guy; a just-inked, two-year deal underscores that. We all fell in love with Braden during last year’s playoff series against the Bruins when he stared down that little twerp Rich Peverley like a consummate boss and stood on his head so long he got CTE. Yes, Braden Holtby will give up goals if you don’t play defense in front of him. Just like that other guy – what’s his name? – Oh, everyone. But boy, if you give this kid a a demi-snowball’s chance to make a stop, 9.31 times out of 10 he makes the save over the last four games. He’s making quick decisions with the pads and ought to take that glove with him over to Nats spring training. 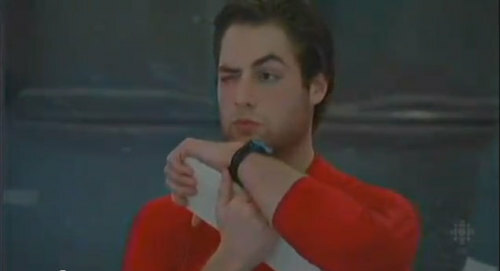 We’ve had our share of streaky goalies, but Holtby could be our Windex man. He’s currently starting in the most consecutive games of his career, and we may be able to keep doing so thanks to the shortened season. I hope that in so doing, he can find his groove and keep doing his weird, Jedi thing. And with that, I leave you to eagerly await the drop of the puck at 7pm tonight at Verizon. Let’s go get ’em, boys.